I like to fit a battery disconnect switch to all my cars. It ensures the batteries don’t run down and prevents fires. Fires are a real risk from cars with old wiring. I had put one of those cheap on terminal switches on the 250SE when I got it a few years ago. Of late it had been playing up and was difficult to reconnect each time. 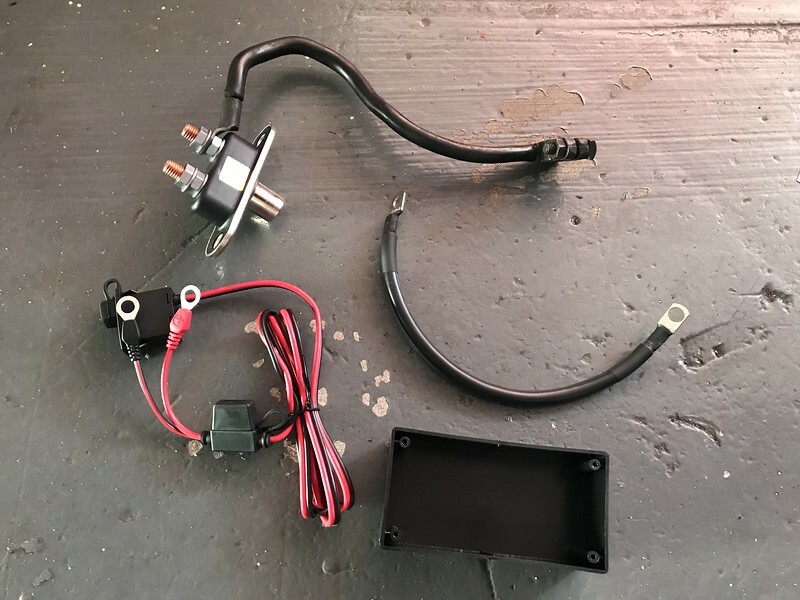 I also wanted to close the bonnet on the car when connected to the trickle charger, but the alligator clips were too large. Completely reversible, with no holes or modifications to the car. I figured that I could create a housing for a switch that would sit next to the battery. Summit racing had one online that is operated by a key and could be mounted inside a small housing. I also bought a Ctek comfort indicator which is a charge port for the Ctek chargers that also incorporates a battery charge indicator. I didn’t want to cut the factory battery cable, so I crimped another. The plan was to connect the new short one from ground to the switch, then the factory one from switch to battery. 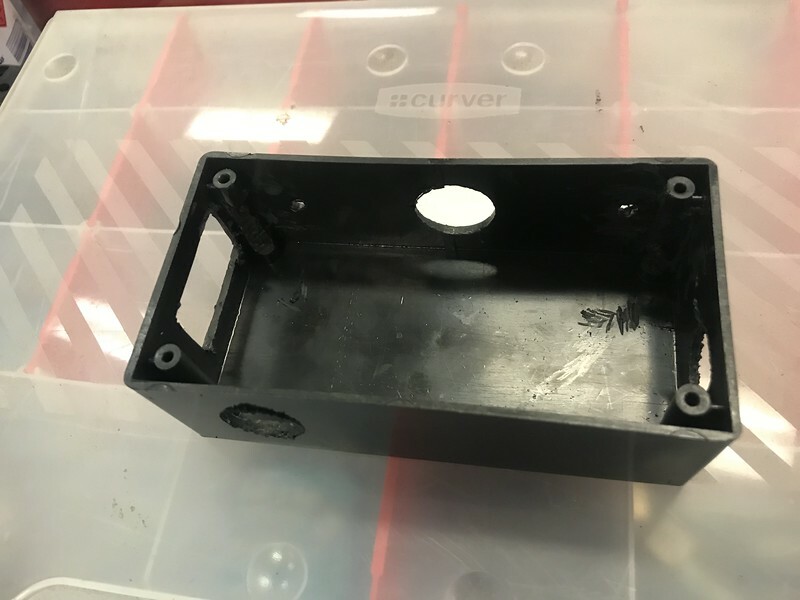 The first step was to drill the necessary holes in the housing. I purchased a housing normally used for computer parts. It is plastic, but it is not near the hot engine so should be ok. The housing came from ebay. I needed holes for the Ctek adaptor, the actual switch and the two battery cables. The components needed to be fitted in order. First the switch, then the Ctek indicator then the battery cables. 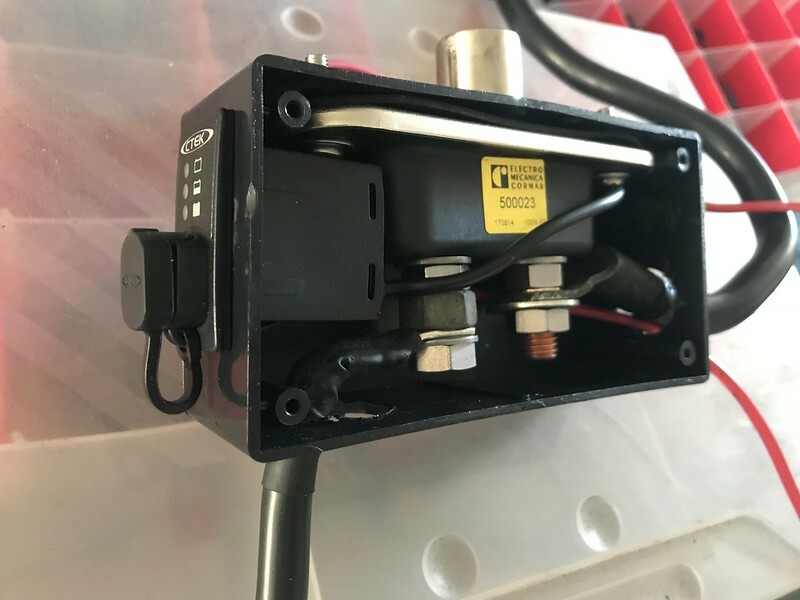 The ground cable for the Ctek indicator can connect to the battery side ground post. 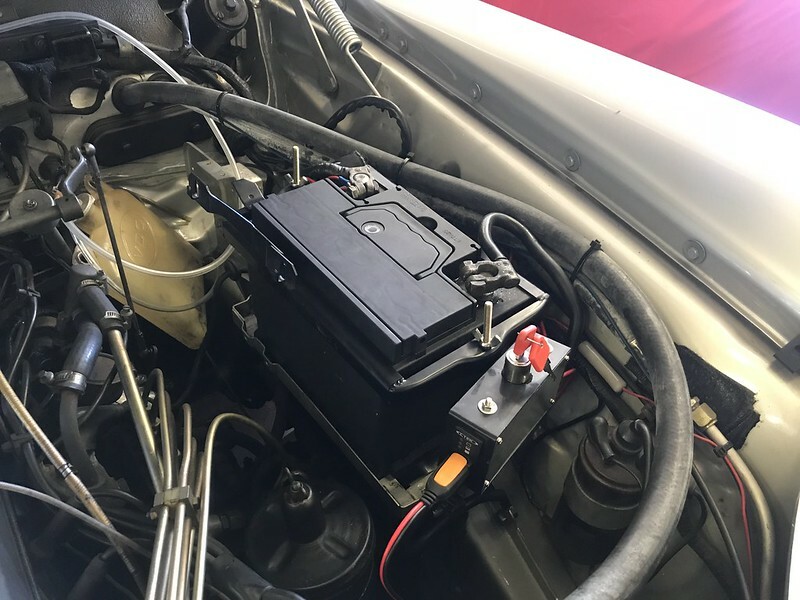 the positive side needs to connect to the battery. The unit looked reasonably neat once it was fully assembled. I had originally planned to mount the unit black side out. However it worked much better the other way. Overall I am pretty happy with how it turned out. It would have been better if I could have attached it to the side of the battery, but the mounting post was in the way. The good thing is that the solution is completely reversible. The key operation will provide a little added security, although a dedicated thief could bypass it with their own ground cable. 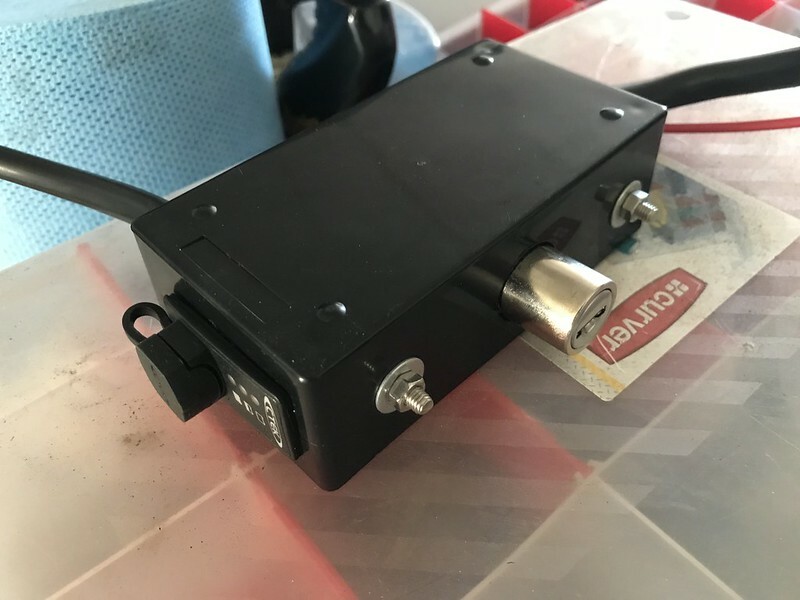 If I find this works well for me, I will build a similar battery disconnect switch for the DS.